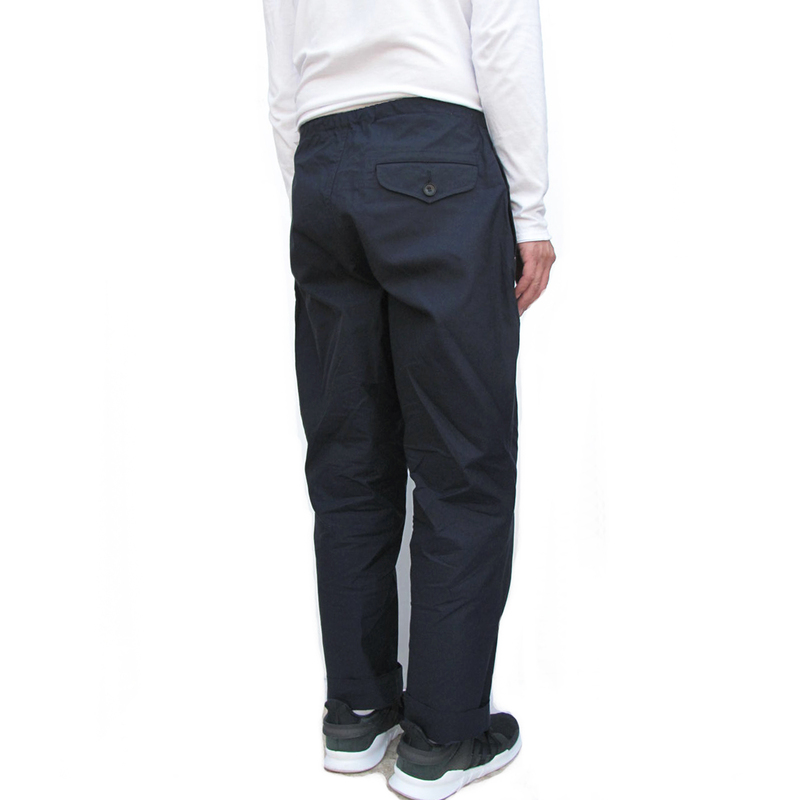 Haversack thigh pocket easy pants. 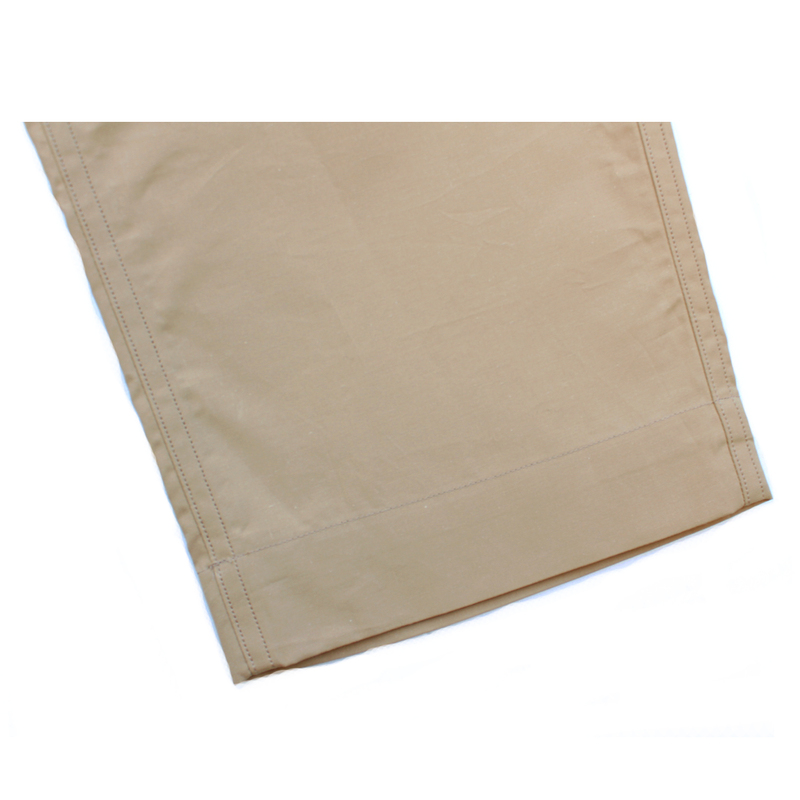 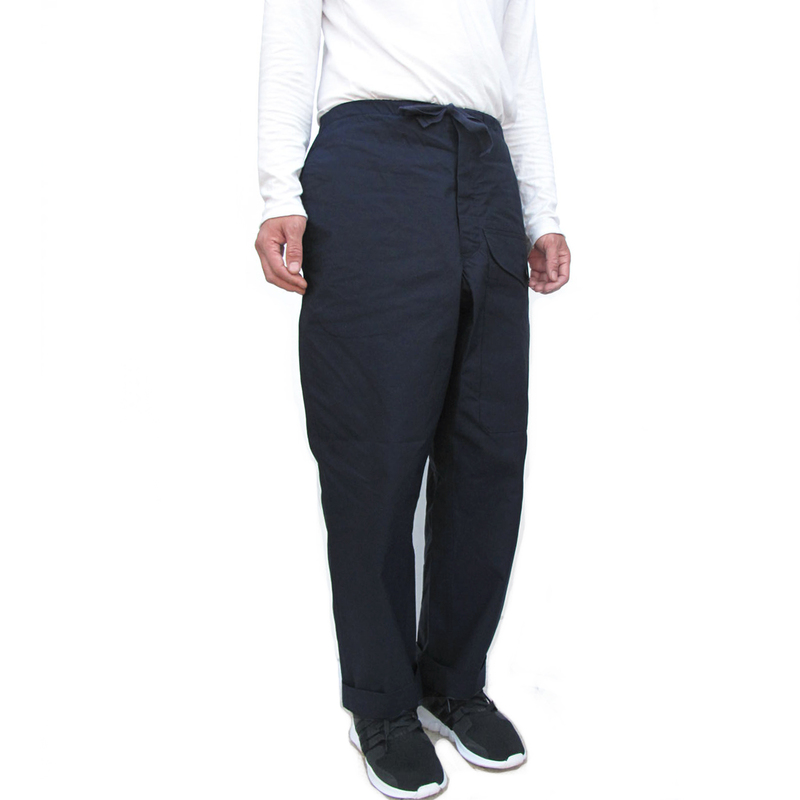 Made from high density oxford cotton that feels like nylon weather cloth. 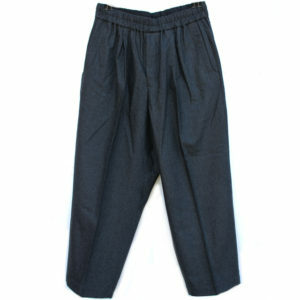 It is light weight for spring/ summer. Slightly Cropped loose straight cut with high rise and tapered leg. 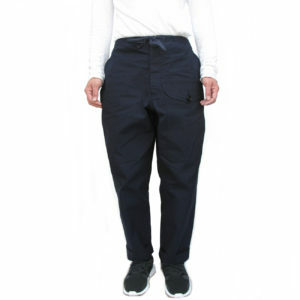 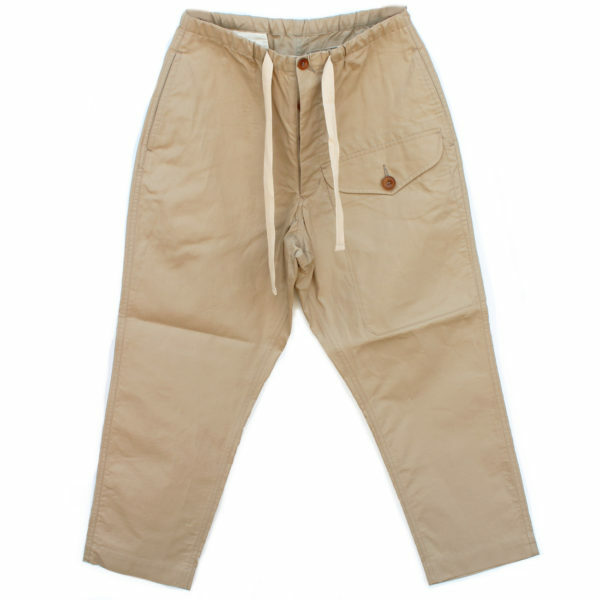 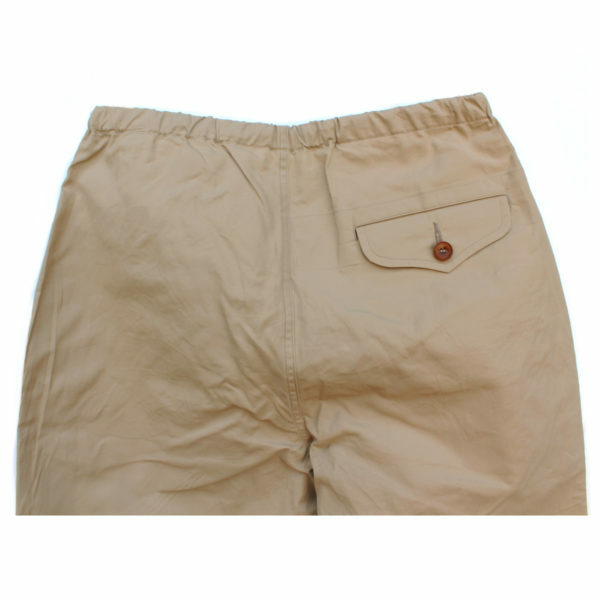 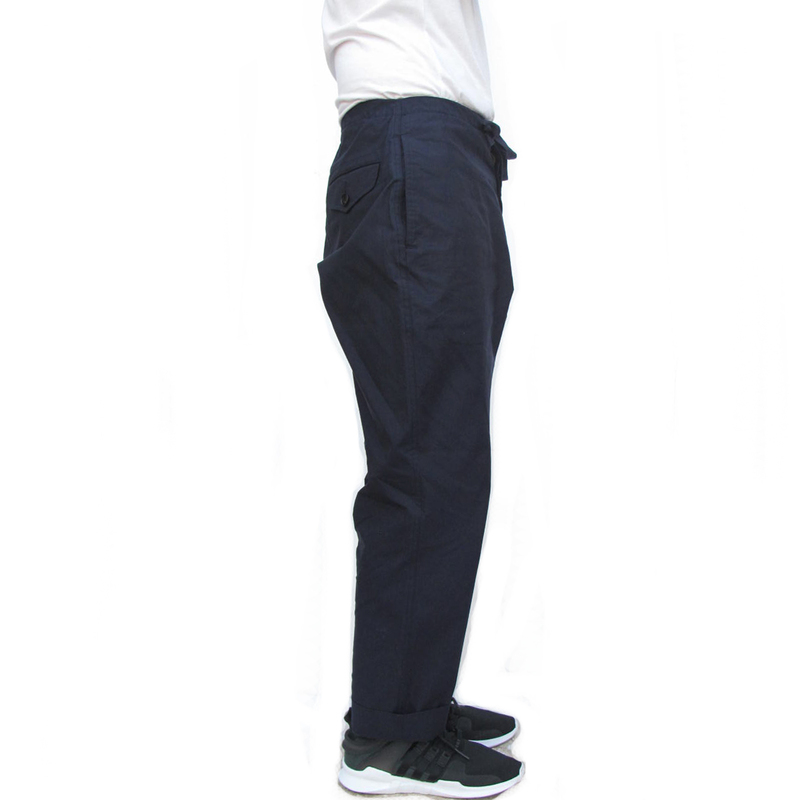 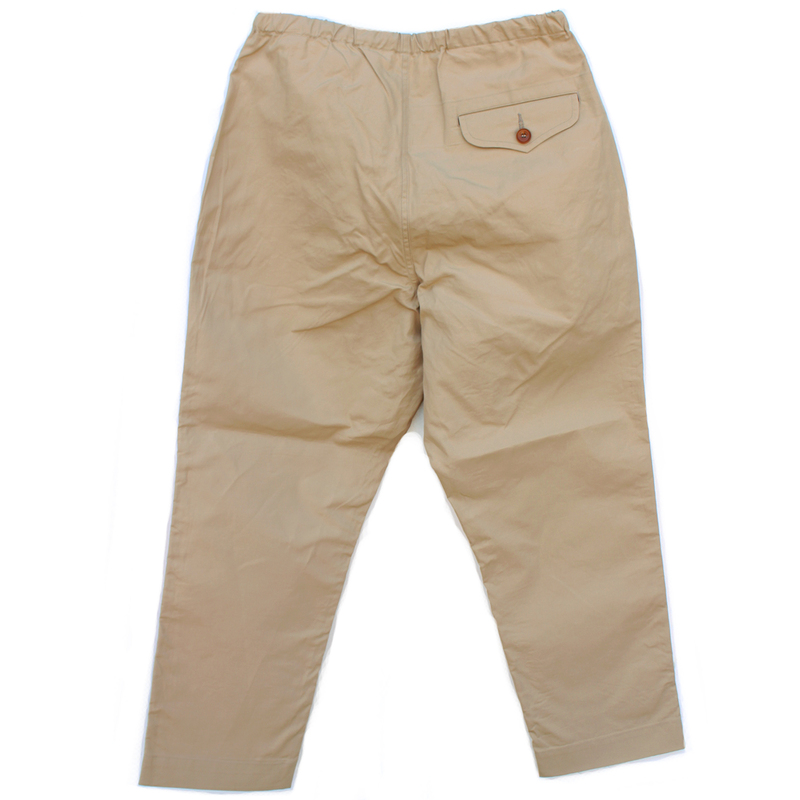 The pants features built-in elastic waistband, large thigh pocket, button fly. *Model is 5 ft 75″ (175cm) slim build and wearing a Medium. 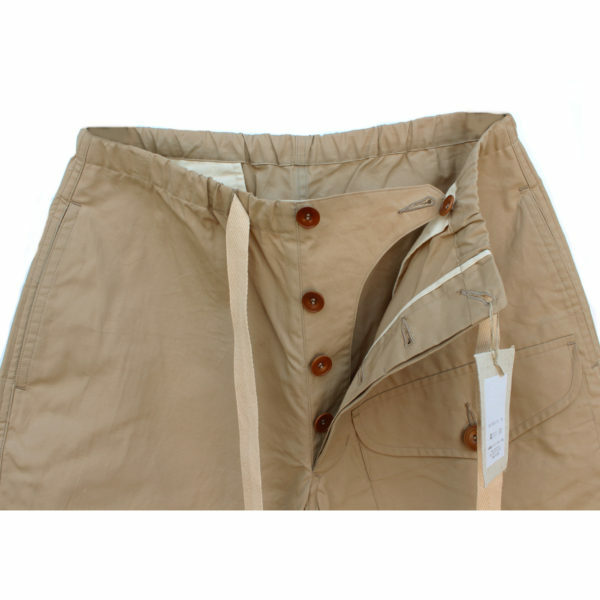 The waist measurements are taken unstretched.